The Simplon’s 100% women Hackathon « LADIESHACK » took place on March 8-9, on the Félix-Houphouët-Boigny University campus, in Abidjan, Ivory Coast, in partnership with Francophone University Association. The girls, who were determined, meticulous and focused, developed digital solutions for financial inclusion until late at night. They worked against all odds to bring about positive change in the community ! 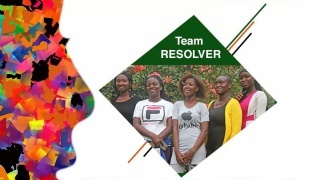 Congratulations to « RESOLVER » Team, platform that allows to report issues, identify concerned areas and locate the closest offices offering banking services, big winner of LADIESHACK female hackathon !